Welcome to Disney Extinct Attractions. My name is Cole, and I’ll be your guide on today’s Walt-heavy journey. 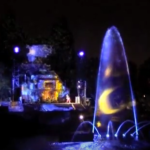 On Tuesday, Disneyland celebrated its 63rd anniversary, a truly monumental occurrence. It seems like just yesterday that we were celebrating the park’s Diamond Anniversary, but here we are three years later with Star Wars Land on the horizon and Marvel Land (in California Adventure) right behind that. 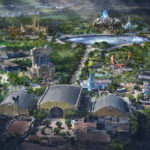 Now many Disney fans may not like the addition of these experiences to the Disney Parks, especially Star Wars Land in Disneyland, but we need to remember that “Disneyland will never be completed.” People claim that Walt would never let promotion run rampant in Disneyland, and yes, Bob Iger and Imagineering have focused primarily on IP-driven attractions recently, but let’s not forget that Sleeping Beauty Castle at Disneyland opened in the park four years before the movie was released. 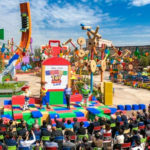 Yes, these attractions will be Star Wars-themed, but they will also be the most immersive attractions ever created, and that is innovation that Walt would be proud of. One other thing that Walt was proud of was his collection of miniature trains. In fact, he even had a miniature train installed in his backyard, the Carolwood Pacific. In fact, this passion led to the Disneyland Railroad and one other lesser known Disneyland train, the Viewliner. Dubbed “the fastest miniature train in the world,” the Viewliner debuted in Disneyland on June 10th, 1957, tearing around at speeds up to 30 miles per hour. Traveling through Tomorrowland and Fantasyland, this tiny train traveled all through the area and alongside the Disneyland Railroad at points. 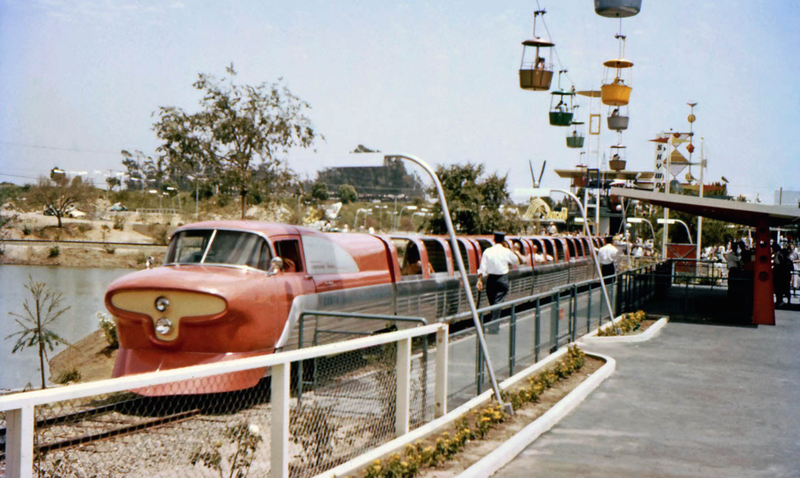 The Viewliner had two separate tracks that intertwined, one leaving from Tomorrowland and one from Fantasyland. Each track had its own train with the Tomorrowland cars being named after planets and the Fantasyland cars, Disney characters. The Viewliner was always designed as a placeholder attraction, however. But while it was there, Walt used the train to showcase what he thought could be in the future for rail travel. Of course, things have not worked out quite that way, but it was still a novel idea. However, its time came to a close on September 30th, 1958, making it one of the shortest-lived non-seasonal attractions to ever hit the Disney Parks. In fact, some seasonal shows even lasted longer. But things worked out because as a perk of this closure, we got the Matterhorn, Submarine Voyage, and the Monorail, the Viewliner’s spiritual successor. Walt had a personal touch with the Viewliner, just as he did with one of the last attractions to hit Disneyland before his death, Great Moments with Mr. Lincoln. 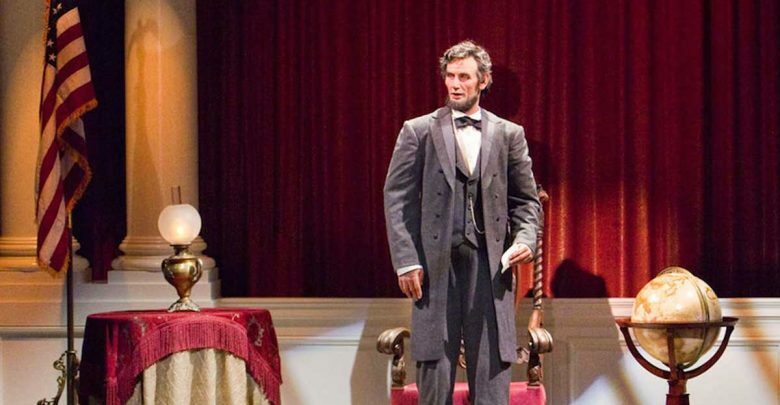 Walt was a huge fan of Abraham Lincoln, so after creating the show for the New York’s World Fair, he decided to bring it to Disneyland to entertain guests of all ages. 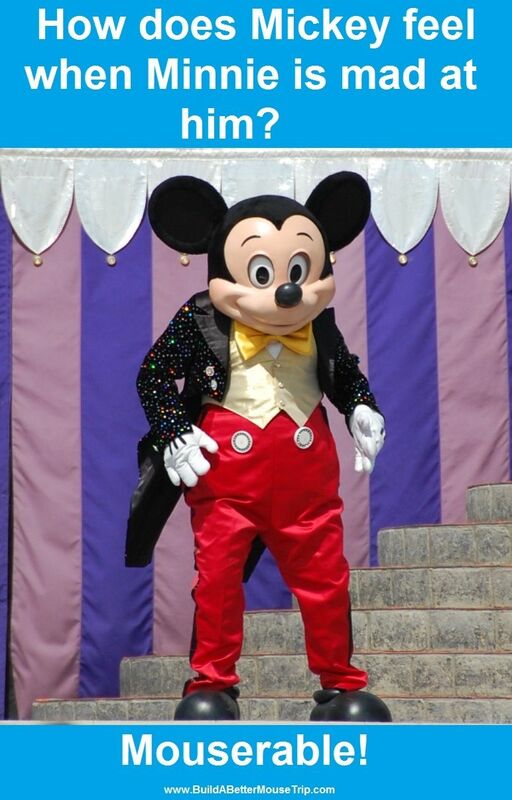 After a few years, the attraction didn’t bring in as many guests as before, so the Disneyland brass decided to debut a new show based all around Walt at Disneyland on April 8th, 1973 as well as at Magic Kingdom on April 14th, 1973 (though it did not replace anything there). I have to say, I absolutely loved this film. Even just watching it on my computer screen, I was absolutely gripped. In the film, we get to hear Walt’s life story from none other than Walt himself. The entire show is made up of a series of photographs and clips, all of which is drawn together into a beautiful story by Walt. I have always been such a huge fan of Walt and everything that he managed to create that brought happiness to countless people. Honestly, I could have watched a full-length documentary in this format because Walt was such an amazing storyteller. It spanned his story from his earliest years up until the inception of the Florida Project. In twenty minutes, you could really understand who Walt was and what drove him, but it left so much more to be discovered at the same time. 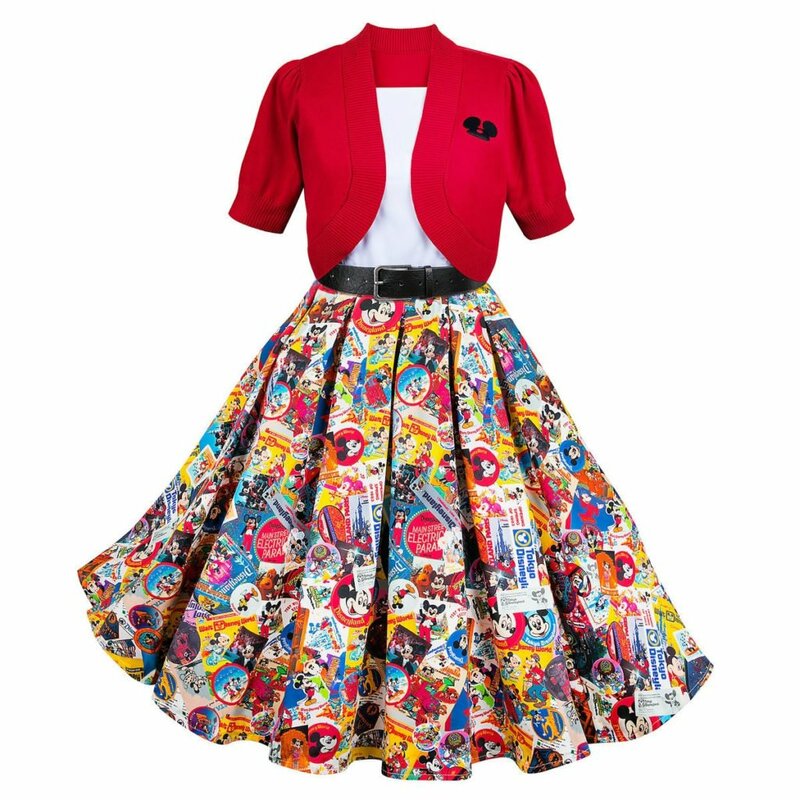 I’m really gushing here, but I cannot recommend checking this out enough, especially if you are a fan of Walt. Jumping back to the attraction’s history, The Walt Disney Story existed solo at Disneyland until February 12th, 1975 when guests began to ask for Mr. Lincoln to return. A compromise was struck, though, as The Walt Disney Story managed to stick around as a preshow to Mr. Lincoln until 1984 when Great Moments took over for good. 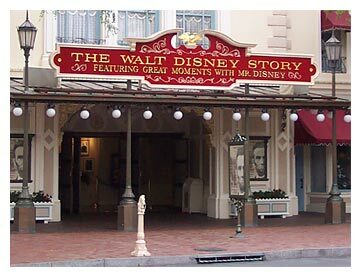 Over in the Magic Kingdom, the Walt Disney Story managed to live a more fruitful life in the Magic Kingdom’s theater. 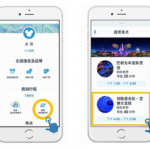 After enjoying the film, guests could visit preview centers for Epcot and Disney’s MGM-Studios. 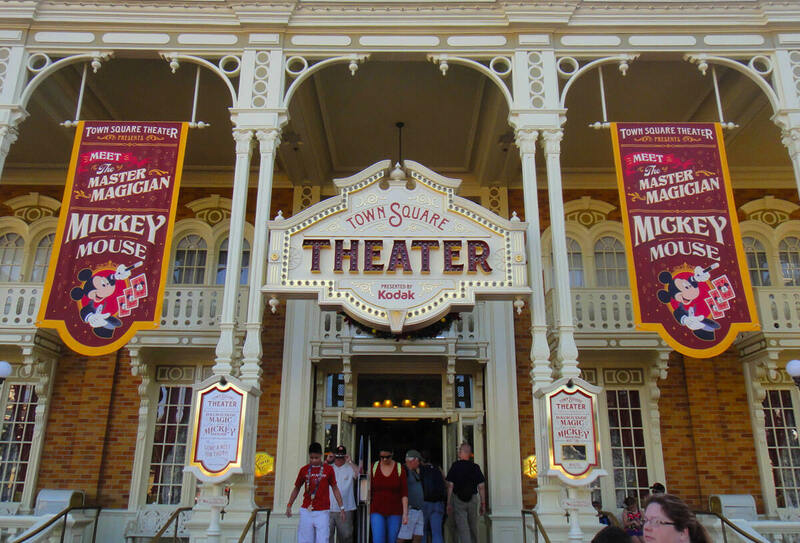 It managed to stick around until October 5th, 1992 when it became a welcome center before becoming the Town Square Theater that it is today. Well, that brings our story today to a close, but here’s your sneak peek at what I’ll be discussing next week. This unbuilt land was masterminded by Tony Baxter. This land had multiple rides that inspired attractions around the world. This land was set to have a companion miniseries.